Enjoy the best inspirational, motivational, positive, funny and famous quotes by Alvin Francis Poussaint. Use words and picture quotations to push forward and inspire you keep going in life! Grandfathers do have a special place in the lives of their children's children. They can delight and play with them and even indulge them in ways that they did not indulge their own children. 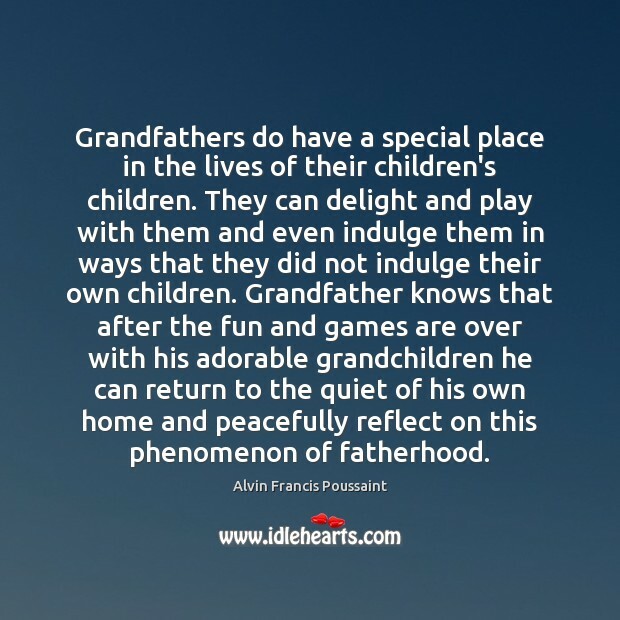 Grandfather knows that after the fun and games are over with his adorable grandchildren he can return to the quiet of his own home and peacefully reflect on this phenomenon of fatherhood. Just as a father feels it is all ending and his children are off to start their own families, a new role begins. 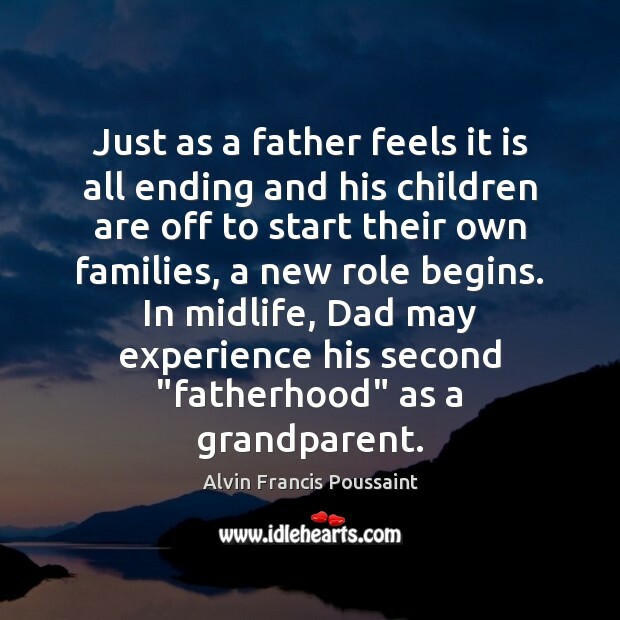 In midlife, Dad may experience his second "fatherhood" as a grandparent. 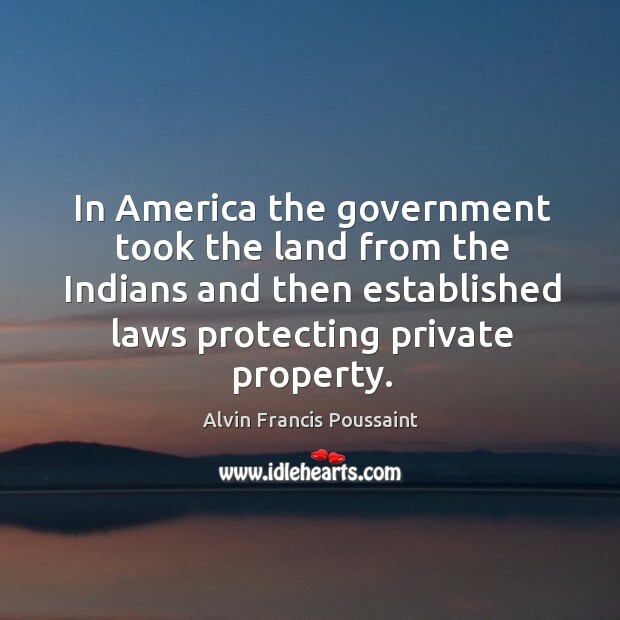 In America the government took the land from the Indians and then established laws protecting private property.